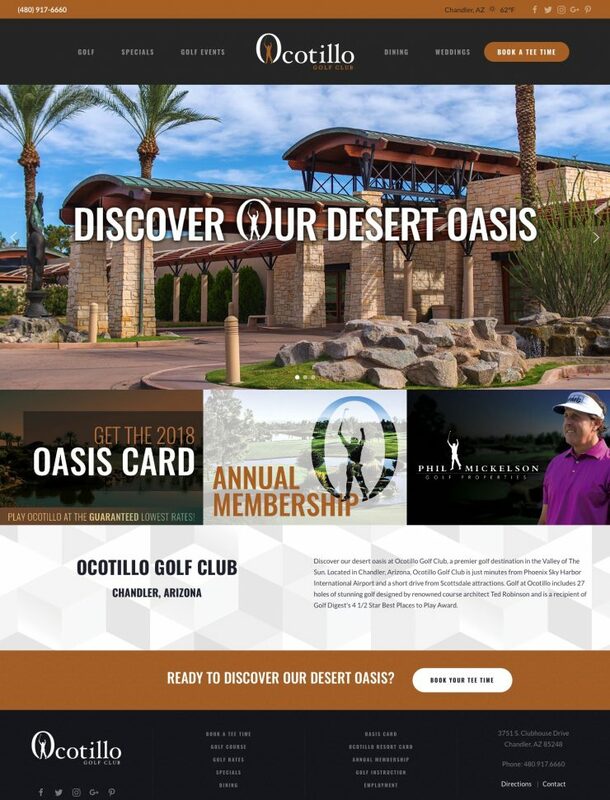 In this clean, responsive website design for Ocotillo Golf Club in Chandler, Arizona, we identified the major revenue streams of the golf club and prioritized them in the design. This includes a home page with highlighted promotional spaces that can be rotated as seasonal promotions change. 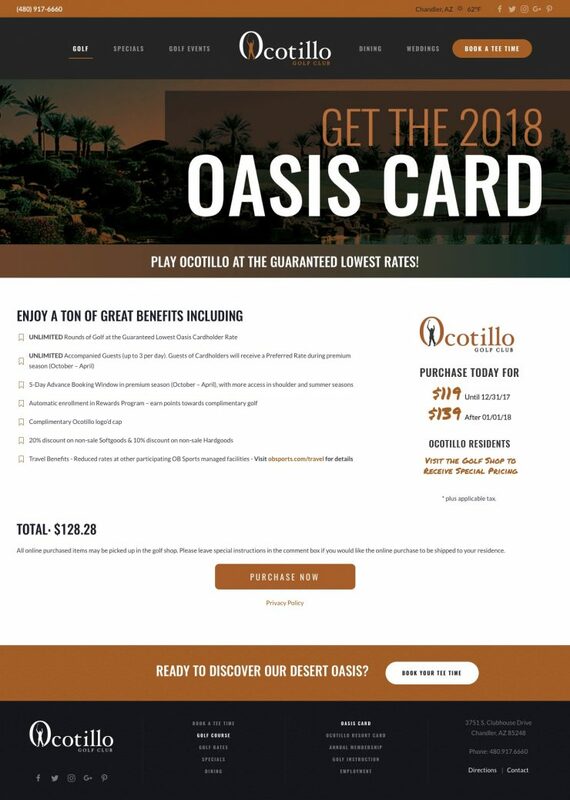 Also an major area of focus in the “Book A Tee Time” function which ultimately is the major revenue generator for the club. 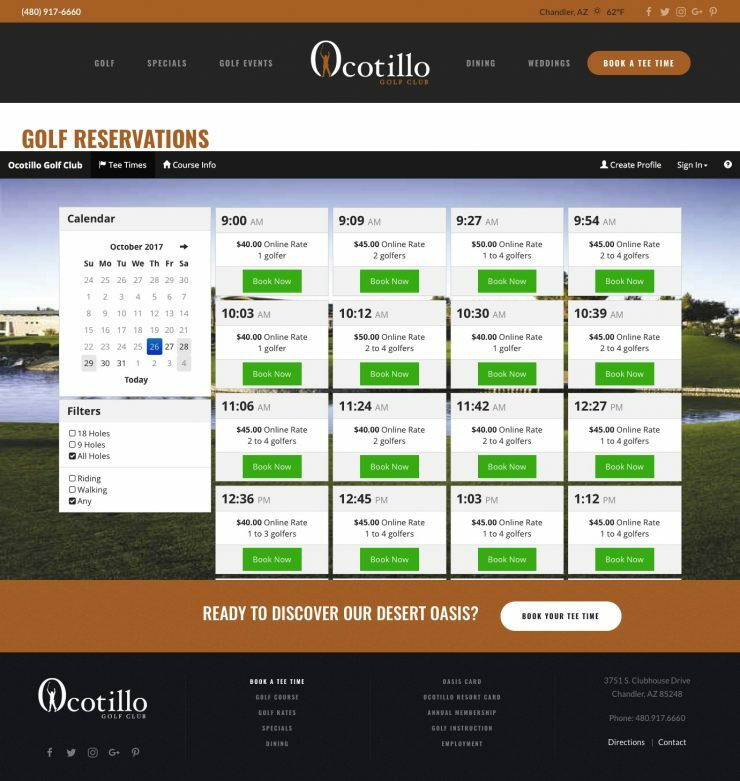 With a large “Book a Tee Time” menu button, visitors to the site are able to easily find this online booking feature regardless of where they are across the site.